Most of my talks are closed events for corporate clients but here is something different! In spring 2016 I was part of an Eagle Ski Club six-person team that tackled Mount Logan on skis, and one of four who reached the top. Mount Logan is the highest peak in Canada, and the second highest in North America. A giant slab of a mountain set deep in a remote icecap on the Yukon/Alaska border, it is notorious for bad weather. Re-invention of Hiking panel at the 9th World Congress Snow & Mountain Tourism. Recently, I gave the opening speech and then chaired the Re-invention of Hiking panel at the 9th World Congress Snow & Mountain Tourism, held in my home country of Andorra. Below you will find the video of my speech and the full slide-deck of the presentation. In summary, I concluded that short-term trends are favouring the hiking industry, but long-terms trends are not. 10 steps to positive focus in work and life. 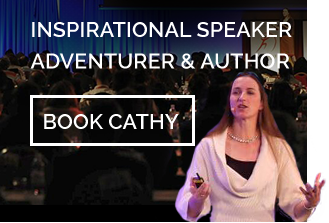 I’m delighted to present the first in a monthly series of blog posts, written in collaboration with Sarah Fenwick, record-setting extreme sportswoman, Chartered Sport Psychologist, Master Executive Coach, and leadership consultant to corporates and adventurers. We will be exploring the psychology behind some of the lessons we learn through adventure. Today – how to focus on the success you want, rather than the obstacles in your way. Why the power of serendipity means you should focus on gaining skills and experiences, rather than achieving goals. Mountain climbing would seem to be the ultimate goal-driven activity, everything resting on reaching the top. The higher the peak, the more valued the achievement! By that definition, Everest should be the most important thing I’ve ever done. But it’s not. I’m glad I did it, it was a fascinating experience in all its controversial complexity, but that kind of goal-achievement is not my main interest. As I wandered through the mountains of the southern French Alps recently, I was reminded once again that the thing that brings me the most joy in the wilderness is serendipity. What is holding you back? Time to use your feet! When to stop focusing forward and instead look at what is holding you back. With snow still sadly sparse in the Pyrenees, I found myself out rock climbing with friends on New Year’s Day. We stood around at the base of the cliff, talking about New Year’s Resolutions, trading the numbers we hope to achieve in 2016. I committed publicly to a nice big number but I have to admit that privately I was already doubting myself, thinking that I’ve made that commitment before – and failed before. So what is holding me back? I often look to mountain sports for ideas I can apply to other areas, both in my work and my personal life. That moment of private doubt got me thinking again about one of the key pieces of advice that any rock climber is given when they start out.